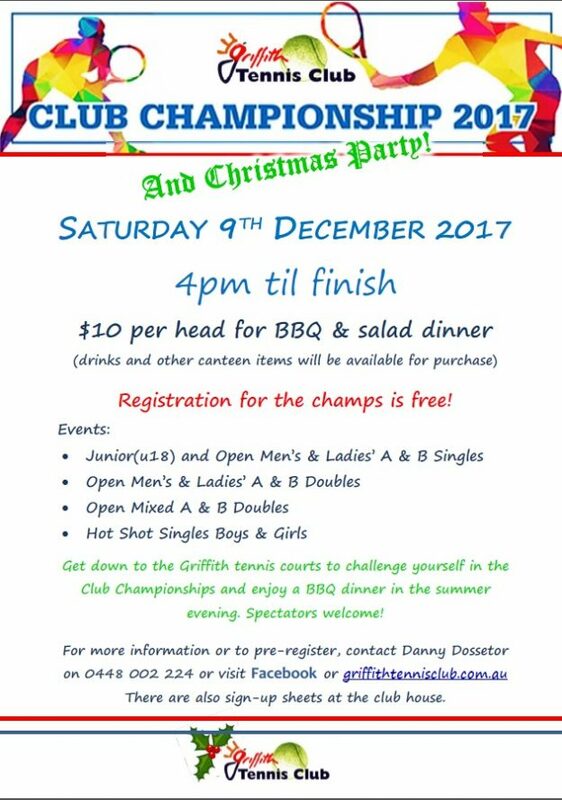 Get down to the 2017 Griffith Tennis Club Championships & Christmas Party on Saturday 9th December. Registration to play is FREE and there are sign-up sheets at the Club House, or contact Danny Dossetor on 0448 002 224. There will be a BBQ dinner available at $10/head so bring everyone along for a social afternoon/evening. Look forward to seeing you there! This entry was posted in General Club Info on November 20, 2017 by Bec Byrne.